However, as expected, the initial positive effect on traffic congestion has declined steadily over the years and the situation in London has now worsened to such a degree that it is now comparable to the circumstances that existed prior to the introduction of the road tolls. 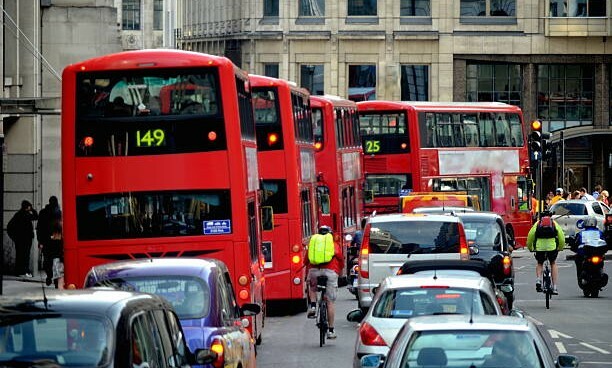 In January 2017, the Transport Committee and London Assembly published a very interesting report entitled “London stalling, reducing traffic congestion in London” which argues in favour of road pricing solutions to reduce road traffic congestion. However, we see the problem somewhat differently to the Transport Committee and the London Assembly. Are roads to be treated as public utilities? If roads were to be treated as public utilities that must be paid for by its users proportionately, then a road pricing solution is ideal for creating a level playing field amongst all users. If vehicle owners are treated as solutions to a problem, then road pricing is a good way to collect money. But road pricing alone cannot reduce road traffic congestion particularly at peak hours. In the same way, road pricing alone cannot help to manage the high traffic density in London unless the tariff is variable and unless the basic price is economically unbearable. But, in such circumstances, authorities would surely face massive protests from people. Because, by definition public transport systems cannot be structured to suit the needs of individuals, road pricing must, in order to be effective, be implemented in parallel with a door-to-door ride-sharing program that offers the same level of comfort and flexibility as private vehicles, but at a lower price. Public transport efficiency is a key point. On page 19 (2.7), the report indicates that the number of Londoners who opted for public transport increased from 2003 to 2014 as a result of public transport network efficiency improvement. A fine-tuned meshing of public transport networking reduces the distance between a user’s point of departure and his point of entry onto the public transport network (first mile) and thereafter, between his exit point from the public transport network and his final destination (last mile). All studies show that the more complicated area to address is the first and/or last mile of access to the public transport network. The public transport may be the less attractive option for the commuter but, for economic, technical and legal reasons, the meshing of the public transport network cannot be as fine-tuned and/or adapted to meet the needs of urban and suburban commuters as quickly or as readily accessible, as it should or could be. By providing the financing of the large investments required to improve the public transport network, the congestion charge reduced the share of private transport from 41% in 2007 to 32% in 2014. However, the main question remains: is it possible to further reduce the current share of private transportation or not? The problem, the irreducible share of private transport. “The irreducible share of private transport” is the term I use to describe drivers who will continue to use their private vehicle no matter what, and regardless of the cost of their journey. On page 27, Figure 5 shows that 27% of drivers (7+20) would drive in much the same way as they do now, and would just pay the tax, should a road pricing program be introduced. It is perfectly understood that road pricing will not change the behaviour of drivers who use their vehicles for professional reasons (e.g., van drivers who meet new customer requirements and new urban consumption patterns, drivers of private rental vehicles, etc.). In this case, road pricing remains an ineffective solution to road congestion and it only increases the cost of the delivery of goods and services. It is also understood that road pricing will not change the behaviour of drivers who use their private vehicle because public transport fails to provide them with an easy and fast way to travel. In this case too, road pricing will not change the behaviour of drivers who use their private car because they have no access to an alternative form of travel. Is a share of private transport at 27% sufficient to avoid traffic congestion sustainably? Absolutely not. At this level, road traffic will continue to worsen even with road pricing. So, what share of private transport remains truly impossible to reduce? We have determined empirically that the real share of irreducible private transport is not higher than 15%. So let us explore how to reduce the irreducible part of private transport. To increase the average car occupancy rate. Today, in peak times, the capacity of the public transport network is incapable of meeting the demands of a daily commute in a manner that is commensurate with the standards of comfort and safety that the public is being asked to pay. At the same time, most of the transport capacity of private cars in motion remains untapped. On page 27, Figure 5 shows that 63% of drivers would drive at times of the day when there is a reduced /no charge and that 48% would switch to a different form of transport. So why have these people not changed their behaviour pattern yet? As we have shown, managing the first and last miles of a commute, is the most important criterion for choosing the most appropriate means or combination of means of transport, especially when journeys are short, which is the case for journeys within urban and suburban areas or when people commute to link to a public transport system. GOVOIT is an app. which allows subscribers to travel from door-to-door using one or more cars in a seamless connection. In this way, users enjoy the same comfort and flexibility as their own vehicle, but at a lower price than public transportation. GOVOIT opens the way to an efficient road pricing solution. By providing an effective alternative to increased average car occupancy, GOVOIT app. can enable urban conurbations to quickly eliminate the free use of the road network. The toll collected would balance the overall cost of each mode of transport, and promote those methods that best improve traffic flow. Thereby creating a virtuous circle. Because road traffic congestion can strongly impact the economy, Greater London is obliged to find the right response to commuter demands. Fortunately, this problem can be easily and sustainably resolved by increasing the average occupancy rate of cars on the road in a way that maximises road journey occupancy levels. However, users will only be convinced to change their habits if they are able to enjoy a service which offers the same comfort, flexibility and security as their own vehicle, and ideally at a price that is lower than public transport. GOVOIT is a door-to-door ride-sharing application with seamless connections. GOVOIT app. offers an efficient sustainable alternative which opens the way to road pricing and to a road space reallocation.